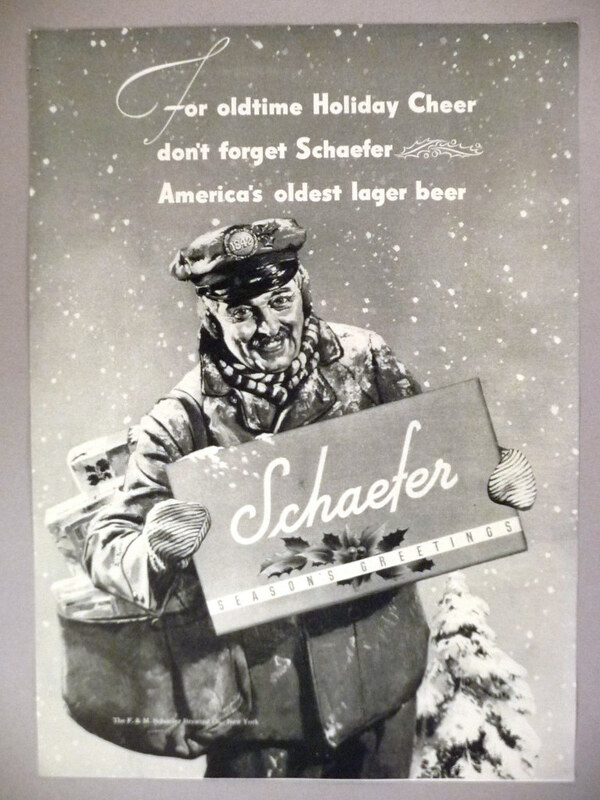 Monday’s holiday ad is for Schaefer, from 1942. Mailman #1942 … wait, that’s the mailman for 1942, and he’s delivering “oldtime Holiday Cheer” in the form of a gift box of Schaefer beer. Forget Santa, now that’s what I want the mailman to bring.